Drama Luau: A Nicky and Noah Mystery by Joe Cosentino’s is another grand adventure with this stunning pair. Nicky and Noah are two professors who end up solving cases. Wherever these two go, there’s always a murder investigation around the corner. This time, Nicky and Noah are heading on their honeymoon. Both choose Hawaii as their destination. Not only does murder follow them where they go, but there’s always an opportunity for them to perform a show. Joe Cosentino’s has once again, brought all of his usual talents with him. 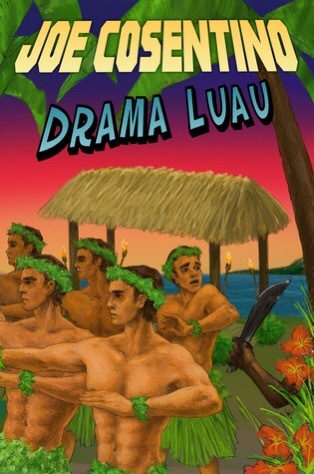 Drama Luau is his newest piece to the Nicky and Noah mysteries. A novel that speaks out for the LGBT community. I love reading Joe Cosentino’s work. He always incorporates major themes into his tales. Each theme brings out a real life issue that readers everywhere can relate to immediately. As with his previous novels, this one was just as exciting. Humor filled the pages. Readers will have found adventure, mystery, and romance with every page. Nicky and Noah are my favorite gay couple. Something about them just lures me further into their story. Funny, clever, and sweet. One teaches fitness the other teaches drama. Their roles as detectives isn’t lost on their friends nor family. I can’t find anything not to love about this series. Especially, Drama Luau. This read had me laughing and falling in love…I was hooked instantly. Overall, I highly recommend Drama Luau to all.